2. Books & Culture. When I graduated from Bible college, the academic dean at the time, Bob Willey, also one of my favorite professors, got all of us graduates a trial subscription to Christianity Today, Books & Culture, and one other magazine. I’ll never forget him telling us that college grads have a horrible reputation for barely ever picking up a book and reading it after college. I wonder what the stats are today. At any rate, I am super grateful for that word of encouragement from Dr. Willey. I never did get a subscription to one of those magazines, but he definitely piqued my interested. A few years later my uncle Jim Ohlson highly recommended Books & Culture, and offered to get me a subscription. I was delighted and have been a subscriber ever since. I have a large stack of B & C issues on one of my bookshelves in my office. The issue in the bottom of the pile is July/August 2002. Here’s why I love B & C: it takes me places I would never otherwise go. Every single issue is like a rollicking romp around the world, through the lens of academic reviews of books (primarily) and other cultural artifacts. 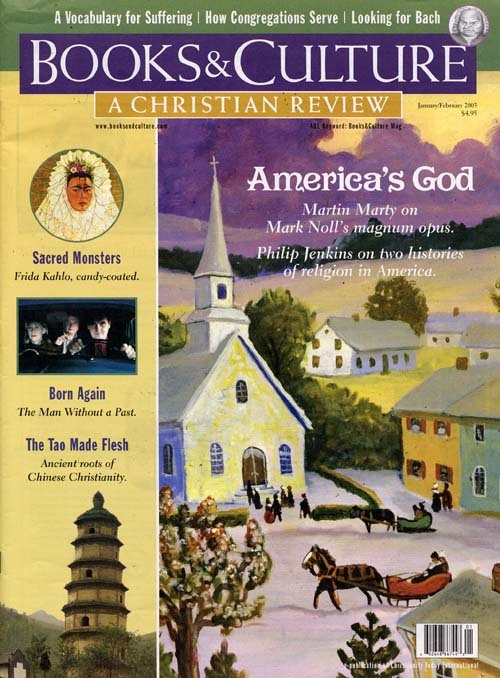 The current issue (May/June 2014), for example, has articles about the recent movie about Noah, and loads of books about such varied topics as the “Secret Gospel of Mark”, young Catholic America, Protest England, and the countries of India, Guatemala, and various places in Africa. Not to mention the topics of death, public schools, Jimmy Carter, and more. See what I mean? But let me say this, most of the articles are not easy sledding. I am regularly challenged just to comprehend them. Frequently, however, I my mind is expanded by what I read, and I’m thankful I stuck with it. I haven’t read every issue cover-to-cover, but I come close. Go to booksandculture.com and you’ll see what I mean. 3. All Pro Dad brochure – This past week our younger kids’ elementary held its second All Pro Dads breakfast. Actually, I should clarify: I don’t know how much the elementary school was responsible for organizing the event, but the principle and a couple teachers are very involved. I have been very impressed with it’s powerful, yet simple approach. A whole bunch of dads and their kids meet in the school cafeteria to eat breakfast and talk. There is almost no program. Just a brief, guided discussion. I told a brochure called “10 Ways To Be An All Pro Dad” and brought it to my office. Here are a couple of the ideas: “Love your wife” and “Eat together as a family”. I’m excited for the continuation of All Pro Dads breakfasts in the fall. If your kids go to Smoketown Elementary, I hope you’ll join us. Or maybe you’ll check out the website to learn about starting a chapter at your kids’ school. 4. Sermon CDs – Last week I did some cleaning in my office, as there were a few items that had been in here for years that I never, or rarely used. For example, I had a CD rack. As you are aware, CDs are not as popular as they used to be. I remember see my first CD player at a friend’s house around my junior year of highschool. 1990-91 or so. His player had a clear plastic lid so you could see the disc spinning super-fast. I remember thinking how improbably that something spinner that fast could result in a clear, crisp sound. So last week I got rid of the CD rack. It was mostly filled with discs that had photos, denominational info and videos, Bible software, etc. I did find a bunch of sermon CDs too. I stacked them in one of my cabinets, except for two which I took to my car to listen to. The one is by Frank Viola about the simple church, which I don’t remember having ever listened to. The other is by Ravi Zacharias from Urbana 1993, which I have listened to around 100 times. I was there in person when Ravi gave the sermon, as a group of us from Bible college had traveled to the conference. There were many speakers that week, some good, some bad. 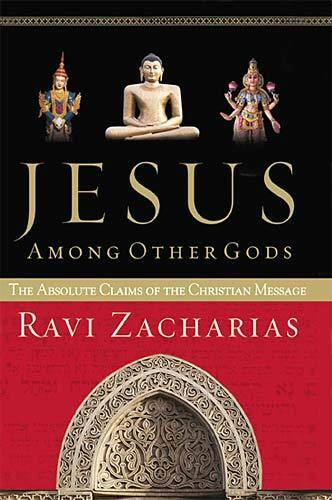 Ravi’s message, entitled “Jesus Among Other Gods”, was a heads above the rest. In 2000 he published a book by the same title. I had never heard of him before, and by the end of the sermon, we didn’t want him to stop. If you want to borrow it, I’d be glad to share it with you. Dr. Zacharias’ combination of intellect, passion, storytelling and humor is amazing. Learn more about him here. ← Separate? Divorce? Remarry? – What to do? Thanks! Absolutely use anything you need. Blessings!